The Code Club meets every Wednesday lunchtime in Boscawen classroom. Children can either take part in coding on laptops or the £25 Raspberry Pi computers. The school as part of the curriculum already has the children learning to code using Scratch, from MIT, and Kodu, from Microsoft, in the classes. The Code Club takes it a little further. On the laptops the children are leaning how to create a website of their own. 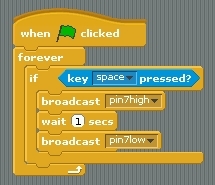 On the Raspberry Pi computers the children use a slightly different version of Scratch called ScratchGPIO. This version allows programming into and out of the Pi using LEDs and switches and a whole array of equipment should you have access to it. An initial session has the children coding in ScratchGPIO to switch an LED off and on. Then trying to make it flash and flash in a pattern. This introduces them to looping commands instead of repeating them. The Raspberry Pi can also run a special edition of Minecraft Pocket Edition that allows programming into it. This is especially popular with the children as any parent may be aware. Running this on the Pi also allows inputting into and outputting from the game as with ScratchGPIO. Below are some links that might be useful. The Raspberry Pi site is particularly good with a very nice video for anyone new to the credit card sized computer. This exercise has three parts with each more complicated than the first. If you are working as a team of three decide who is going to go first. Each can help the others but this way everyone gets a go with typing in the commands. Swap places after each exercise. Before switching on your Raspberry Pi connect your LED up as in the picture below. The lead with the resistor goes into Pin 25 and the other into Pin 7. This LED has been prepared in advance. A 220 ohm resistor should be soldered to the short lead, cathode – next to flat edge – from the LED. Then half a female connector lead is soldered to both leads enabling quick fitting to the Raspberry Pi.GPIO pin numbers start from the left as in the picture, closest pin towards you. As pins 7 and 25 are odd numbered ones they are therefore in the closest row to the camera. When you are ready and you have checked that the pins are correct turn on the Pi and then get ScratchGPIO started. The solutions to the exercises are at the bottom of the page, but try to do them first before looking. Open a new Scratch file. 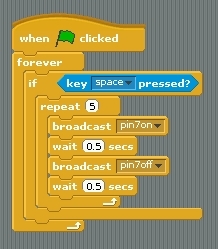 These can be made from the Command part of Scratch by choosing Broadcast and clicking on the small black arrow and selecting New. Type in the command as in the picture. 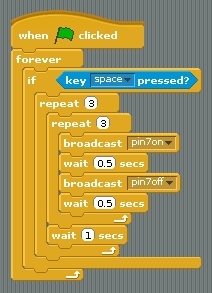 Now can you program Scratch to switch on the LED for 0.5 seconds when the Space Bar is pressed? Save your work. Call it something like YourNameLED1. Now switch users and try this. Start with a new file and recreate the same exercise as before. You should have been watching so this should only take you a minute or two. Now can you extend the instructions so that when the Space Bar is pressed the LED flashes instead of just switching once? Try a pulse of 3 flashes. Save your work. Call it something like YourName2. Switch users again and try this. Start a New File again and recreate the same as the previous exercise. Have you been watching closely? Flash, flash, flash ,pause, flash, flash, flash ,pause, flash, flash, flash , stop. Now that you have all got the hang of this here is something for all of you to do. 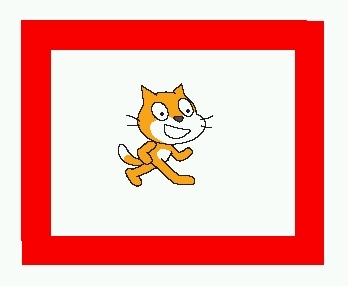 Draw a rectangle with a nice thick border on the Background with enough room for the Scratch Cat to move. Can you program the Cat to move using the arrow keys and whenever he touches the border the LED lights but when he isn’t the LED is off. Here are the solutions to help if you got stuck. Capital letters are also important and should be used when appropriate. Keep an eye out for changes in Capital letters. After typing a line of instruction hit Enter key and the instruction will run. From December 2014 Minecraft was installed on the Raspbian operating system as standard. It can be started by using the Menu drop down list from the top left of the screen. These instructions reflect this change as the school Raspberry Pis have all been updated. Now Minecraft should be running and can be played with as normal. Use the mouse to create a world (or move right by England football shirts pressing D to open an old one). It is in creative mode only and has a limited size like the original pocket edition. The Minecraft window can be moved around the screen by grabbing with the mouse the window just underneath the top of the visible window. Try and place the Minecraft window to the upper right leaving plenty of screen space available to use. Press Tab to release the mouse so that it can be used on the Pi. Just click inside the game to go back into it. Open an LXTerminal and organise the screen so that the game and this terminal can be seen. You will be using this terminal to talk to Minecraft. In this exercise the commands are not recorded so once the Pi is switched off all is forgotten. The LXTerminal is waiting for you to give an instruction using Python language. For Minecraft we start by importing some Minecraft modules that contain some instructions for Python about the game. Type these in with Enter after each line. Watch out for the Capital letter. The last line opens a means of communicating with the game calling it mc. The mc is a variable and you have called it mc but it could be called anything you like in practice. Steve would work just as well as mc, just as long as all the commands needing mc are replaced with Steve. Now things will start to happen. Keep an eye on the game as you press enter after each line. You should now see a line of text appear on the Minecraft game. Try typing the same again but with your own message. A tip for you though. Instead of retyping every line again in the LXTerminal try using the up arrow on the keyboard. It will cycle through the lines you have previously written. These can be easily edited to make a new command. Finding the player position within the game is very useful when building something. By knowing where Steve is standing it is quite easy to start the build a short distance away from where ever he is. If you used any random coordinates to place some blocks down you may have to walk a way through the world to find them. The coordinates are retrieved as a series of three numbers x, y and z. Where x and z are the block distance on the ground from AC Milan football shirts the centre of the game. The y coordinate is the height above, or below, the centre of the game. These all refer to a three dimensional graph in maths so it is good practice for you! The spaces within the brackets here are not important but good Python practice. It makes it easier for you to read but note there are no spaces for the code outside the brackets. Here the program will place the first block and fill the space up to the second block. Notice the slightly different name setBlocks with an s. If that is only two blocks away then that will be just three blocks needed. Like the picture below. But if the second block was a hundred blocks away it will place those just as fast! Minecraft Steve has placed three blocks x+5 blocks away Barcelona football shirts from him. If his coordinates are 0,0,0 then the coordinates of the yellow blocks(the z, y, z) could be 5,0,0 and the x2, y2, z2 are 5,0,2. 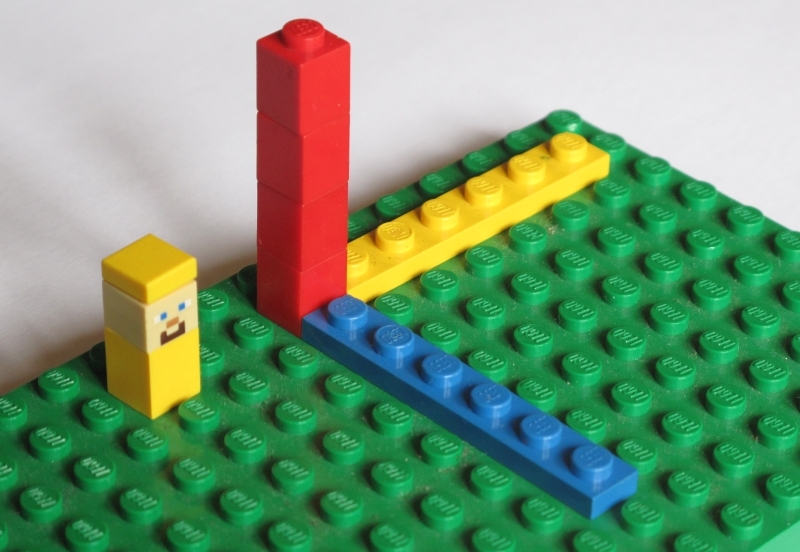 The use of Lego as a way of understanding the positions of blocks is a useful aid. The TNT can then be made to explode by hitting it. If you place a large block of blocks down you’ll probably really Real Madrid football shirts slow your game down. But of course you’d never do that, would you?! 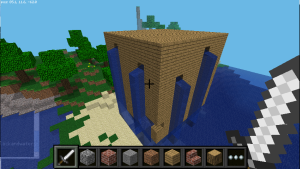 Here is a block of wood planks 10 x 10 x 10 with a block of water placed inside 9 x 9 x 9. 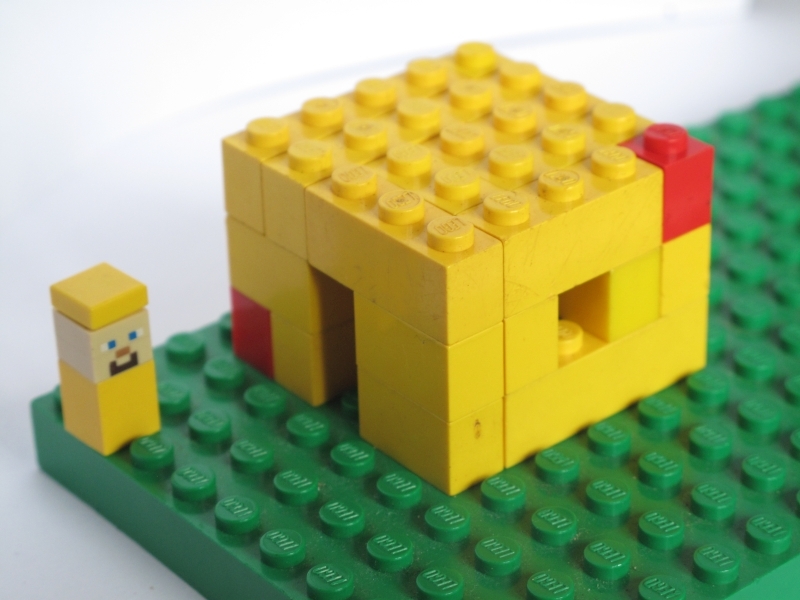 In this exercise you will learn to build a simple house. This is achieved by placing a large set of blocks and then placing a block of air inside it effectively mining out the interior. The same technique is used to make a doorway and windows. Your house can be made from any material you like, just consult the Minecraft block library below. Minecraft uses coordinates just like the maths in class. Sorry about that but if you listened in class you’ll find this easier or when it comes up in class you’ll understand it better because of Minecraft! How Minecraft coordinates work. Here the blue strip equates to the x axis (east and west). The red is the y axis (up and down) like a graph. Can you see that? Minecraft is in 3D so we need a depth axis into and out of the view and that is the yellow direction or z. The coordinates are written in this order (x, y, z). Now we need to communicate with the game. Rather like a two way radio we can give it instructions and it can give us information. The house can be built anywhere. The problem with that is you will have to find it! It would be easier if it was built somewhere close to the player. So the first command is to get the position of the player and call it the variable me. This will return to the program the coordinate of the block under the player’s feet. (The command getPlayerPos gets the players position on the block under their feet). This is in the form of x, y, and z. The x coordinates can be thought of being the east and west direction, z the north south and y the up down. The house that you built. Or it will be soon. Use this to guide you in understanding the coordinates. 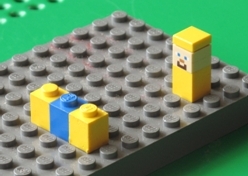 The setBlocks command uses the two red Lego brick positions to build the whole block of the yellow bricks. A similar command though slightly smaller will place a block of air inside hollowing out the block. The door and windows are done a similar way. The code places the bottom corner of the block three x blocks away (east). The far top corner is seven x blocks away and four z blocks away and three y blocks up. Count them on the picture to see. # Add first window of air, notice the setBlock not setBlocks command. If you want the windows can be of glass. Can you do that? And the building does not have to be of wood either. Save the program. So let’s run it and see what happens. Hopefully you will end up with the house in the picture, if you chose to use the gold blocks. From the Menu in the top left hand corner open Minecraft from the Games menu. If all is well the program will run and place a house not very far away from Steve. If the house is not quite right check your code and debug it. If it was right, try changing the building material? Place Steve somewhere else and build another and another. You could make a whole street of small house really quickly. Try it. Moving the Steve character and rerunning the program to build another house is all very well. But Python can do it a lot quicker for you. All that is needed is for the program to run the sequence for placing the blocks again but in a different position. For a street of houses it is just a matter of adding a bit more to the y coordinates so that the houses are all facing out. If you change the x position all the doors would face the back of the previous house. Of course, if you change the y coordinate all the houses would be built on top of one another. And you wouldn’t want that would you? Would you?? So let’s go back to the program in Geany. Do a Save As with the program to save a new copy calling it minecraftStreet.py. Now the command for the loop. We need to check that the street is not too long so maybe 5 houses is a start. Finally we need to add the move_along distance to the z coordinate as mentioned before. The first house will be built where z is the player’s coordinate value (that’s the first z mentioned in the first setBlocks above). The second house has 7 added to z, the third will have another 7 added again so it will be 14 away from the first. And so on. Save the file and run in Minecraft. Any problems? Then it is time to debug again. How about making a house with a roof of a different material? Can you do it? And how about a path to each door of gravel and a road going down the street? Or maybe a tower block of houses going up instead of along? Here we will explain how we set up the Raspberry Pi computers that we use in the Perranporth School Code Club. It is not the only way it can be done but it has all the basics there together with a few extras that will be needed in the worksheets to follow. We’re going to presume that you have a Raspberry Pi credit card sized computer in your possession. You will also need a screen of some sort as a monitor. The Pi will simply connect to a modern TV with an HDMI lead. Like other computers it will need a USB keyboard and a USB mouse. And power is supplied by a micro USB 5v power supply identical to a lot of mobile phone chargers. The power supply should provide 2 amp of power, not all mobile phone ones do. The official Pi power lead provides 2.2 amp and is only £5 so if you want to be really sure it will work get one of those. The last lead that is not essential but very useful on the initial set up is an ethernet connection to your router for the internet. Just for this start up it means that some really useful software can be installed. But it does not have to be done now and the instructions will still work after the install so don’t worry too much about it. The NOOBS –New Out Of the Box Software- SD card is the memory of the Raspberry Pi. NOOBS contains various version of operating systems that can be installed onto the card. The two most popular ones are the RaspBMC that turns a Pi into a media player centre and the one we will use here, the Raspian. Lets plug it all in. All the connections will only fit in their appropriate place so it’s not too difficult to work out. The micro SD card slots in underneath and is possibly the only one you will need to really look for. Before switching on switch your TV on first so that the Pi can find it on power up. So lets do that that. With everything connected turn the power on and have your finger ready to press a Shift key. Some LEDs will light on the Pi and on the screen a multi-coloured square splash screen will appear followed by the Recovery screen. Press Shift on the keyboard. The install screen will now show the various options to you. The first one, Raspbian, is the one we want. Use the arrow keys to get Raspbian highlighted in blue and a small cross in the box by pressing Enter. Now press i and Enter again. Raspbian will now install which will take around 20 minutes. At the end a note will come up saying Os’s installed successfully. Press enter and away you go . The Pi will start to boot and the screen will fill with scrolling text. A set up screen will appear to finalise the procedure. There is nothing really here to do for now so select finish with the right arrow key then enter. While you’re waiting, a word about the Recovery Screen. This appears every time you boot the Pi with the card. Should you ever make a really big mess of your Piand nothing works then you can clear the card and reinstall the operating system again. Or in fact one of the others to try them out. Just press the shift key when the screen appears. Unlike using a Windows PC or an Apple Mac the Pi does not boot to a graphical user interface, GUI. That’s one with little icons you can click on. Instead you have a screen filled with loads of text. When the text stops moving and the Pi gets to the part of where it is asking for a user name you are ready to roll. This first time though this is not needed but from now on you will be asked for it. The user name is pi and the password is raspberry. If you did not have an ethernet cable then now type startx and enter and the Pi will load the Graphical User Interface and you can now start using the Raspberry Pi. If you do have an ethernet cable then you are ready to install some extra useful software straight away or you can do this later. Doesn’t really matter when but here is how you do it. Install Geany, ScratchGPIO and Minecraft! Loads of text will appear as the Pi downloads loads of information. When the pi@raspberrypi line reappears you can continue. But you do not need to do it. The idea is though that since the SD card was produced Raspbian may have gone through some changes to improve it. Upgrading matches your edition to the latest so it is good practice to do this occasionally. It does take a while to do though so if you want to start playing with the Pi maybe save it for later. The Raspbian operating system has gone through a nice update that gives a more intuiative experience. After doing the update and upgrade commands above run the following too. As with the upgrade command it does take a while to run, be patient. This is a useful editor that we use in the Perranporth Code Club to write the Python code to use inside Minecraft. That’s all it takes to install it. Most software packages can be installed this way. When asked “Do you want to continue?” click Y and enter. Yet more scrolling text, a little wait and the pi@raspberrypi will appear again. Scratch is already installed. But this version is different. It allows LEDs, switches, motors and other things to be controlled with by the Pi inside Scratch. The package is not installed as above as the software is downloaded from a website then installed. At the time of writing a new version 6 has just been released that supports the new A+ and B+ boards. It still has a few problems but they will be sorted quickly I’m sure. So lets install it. This gets the file to be installed. We now need to unpack it and install. And that’s it. When we start the Graphical User Interface there will be an extra Scratch icon on the screen. Minecraft has been installed but running it is a little different. For that you’ll need our worksheet or the link to the Minecraft page above. So that’s it. You are ready to go. At the prompt type startx and enter. 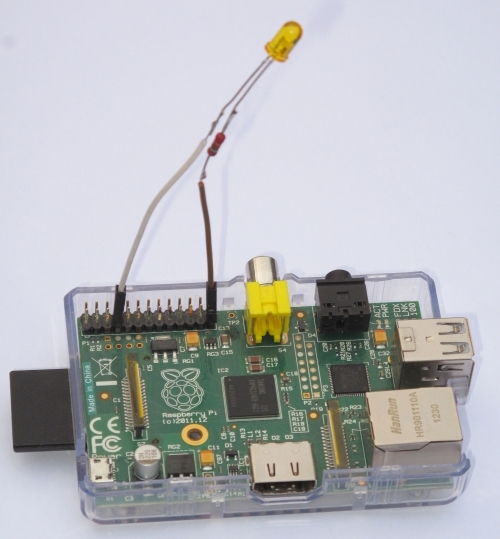 We hope that this helps you get started and enjoy using your Raspberry Pi. Check out the daily blogs on the Raspberry Pi Foundation page. There are loads of ideas to whet the appetite. Good luck and have fun.